Often we travel to find ourselves, but we get lost in distractions along the way. While in order to find oneself, the most important journey, is the one you make within. Be Kind Retreats is a personal investment to find more inner balance, work on self-love and self-care and disconnect to reconnect. In the current society we see ‘the pressure of perfection’. More women than ever before feel the need to be perfect. At the same time the mental health of young women is a growing concern. Perfectionism can have serious implications, it has been linked to anxiety and depressions and unhappiness of young women is rising. This is something we want to change! Social media feeds perfectionism, therefore all Be Kind retreats are offline. Distancing yourself from social media gives you the opportunity to connect with yourself on soul level and find out who you are, what your purpose is and what you really want in life. Be Kind Retreats is not just a normal yoga or surf retreat, it is an inner journey where spirituality meets fun and where relaxing meets coaching. 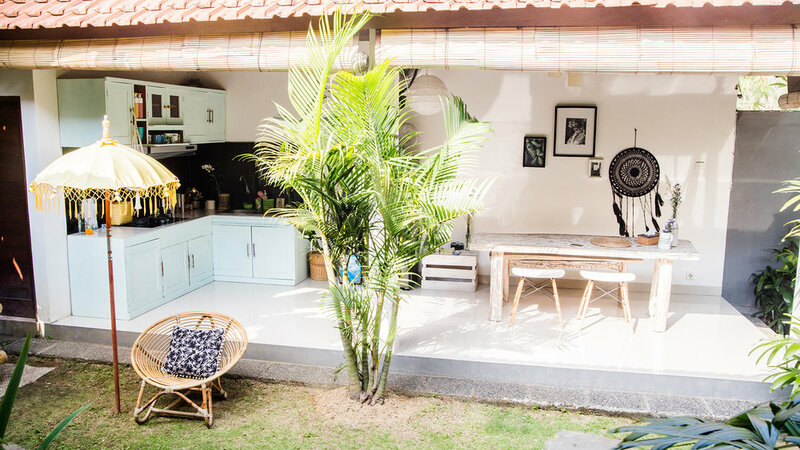 Go surf, do yoga, eat good food, feel the sun on your skin, go on adventures with likeminded woman, laugh, feel the positive vibes and enjoy the tropical local Balinese village life around the villa while making lifelong friendships.